Video Marketing is the use of video to promote the perceived value with certain target audience. "Humans are incredibly visual and moving images help us contextualize the world around us." 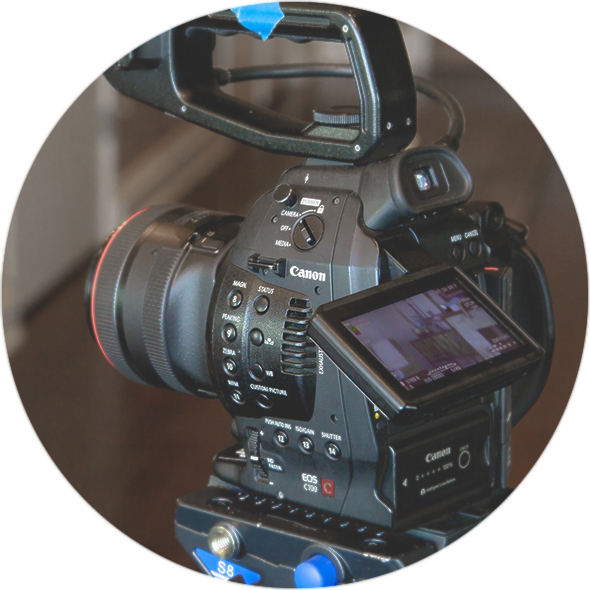 In a short amount of time, the institutional video tells the story of your company, your product or your service. Institutional video clearly positions, in the mind of your client, what you have to offer without having to read every page of your site. Creating an institutional video is an investment with a guaranteed return in terms of visibility and prestige. From the idea to the production of each video, we work closely with our clients to build a good story. Multi Camera HD videos are those that, for some reason, mirror television programs to convey a message. This way of making videos adapts especially to the recording of training sessions and webinars, the coverage of events and seminars and to many other situations where you want to record events in real time. We have HD equipment and a specialized team to record in TV format all kinds of events. Social media increasingly uses the video format to attract the attention of users. Video has become the preferred format of both advertisers and surfers on social networks. Producing for the Internet with quality, both image and sound, requires competent equipment and technicians in order to obtain videos that honor your brand. We provide consulting services that can help you develop a video marketing strategy for social networks.